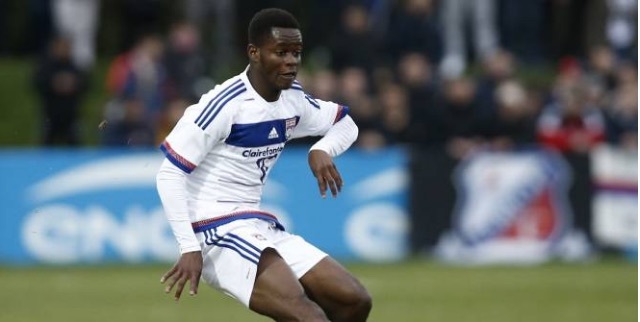 Liverpool are interested in signing Lyon’s talented teenage fullback Jordy Gaspar, reports French daily L’Equipe. They claim that the 19-year-old has yet to sign a professional contract, so could be snapped up by any club for no fee – although indicate that Zenit and Bayer Leverkusen are also keen to do a deal. We’ve not heard of Gaspar, so cannot offer you much of a scout report, but L’Equipe do say he’s comfortable playing right-back and left-back. Liverpool are currently in desperate need of fullback enforcements, with very little support for Nathaniel Clyne on the right and Alberto Moreno on the left. Jon Flanagan is available for loan, meaning we’ve only really got Connor Randall – the inexperienced Academy graduate – to provide right-back backup. Many believe Moreno shouldn’t be starting at left-back at all, but with Brad Smith sold to Bournemouth, we’re totally short on that side of the defence. Even if we signed Gaspar, he has very little actual experience and would probably play for the Under-21s, so the problem still lies. Ideally, we’d spend some proper money on an experienced defender like Jonas Hector or Ricardo Rodriguez, but so far it seems Klopp is happy to stick with Moreno. Against Chelsea in last night’s friendly, he used James Milner there for a bit… Could the vice-captain become a permanent fullback option for the boss, now attacking midfield is so well stocked?